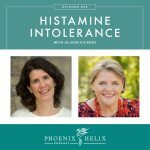 Once you start researching alternative approaches to treating autoimmune disease, it isn’t long before you hear of a gene mutation that can be a root cause for chronic illness and also a healing stumbling block. It’s called the MTHFR mutation. It stands for methylenetetrahydrofolate reductase. This is a very complex topic, and it’s easy to misunderstand and make mistakes trying to treat it. Our goal today is to explain MTHFR clearly in layman’s terms, talk about how you can tell if this mutation is indeed impacting your own health, and help you find a qualified practitioner to guide treatment. Dr. Ben Lynch is a doctor of naturopathic medicine who runs the website MTHFR.net. 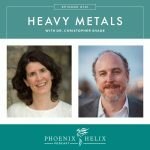 He’s considered the expert in this condition, writing, researching and presenting worldwide. He's the expert consulted by other experts. The chefs are always creating new recipes and updating their menu. The newest AIP selections include Bone Broth Popsicles, Beef Breakfast Empanadas, and Moo Shu Pork Tacos. Dr. Ben Lynch is a doctor of naturopathic medicine who specializes in MTHFR research, education and treatment. His rock bottom health-wise happened during medical school. Ironically, naturopathic medical school is just as hard on students' health as conventional medical school. He developed foot drop, geographic tongue, food intolerances, and leaky gut. 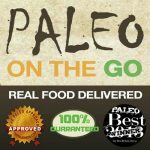 The keys to turning his health around were supporting his adrenals and going gluten and dairy-free. He also has MTHFR himself, as do two of his sons. It's an abbreviation for methylenetetrahydrofolate reductase, which is one very important gene involved in cellular function bodywide. MTHFR mutation means that you have a gene variant that can interfere with this gene's ability to function properly. This gene transforms inactive folate into a form that can be used by the body (methylfolate). Methylfolate is necessary to methylation – a process involved in over 200 vital bodywide processes, including proper immune function, optimal brain function, the creation of cell membranes, the creation of glutathione (the body's master antioxidant), the creation of creatine (necessary for muscle function and strength), and the creation of carnitine (which helps our body burn fat). Those are just some of the important functions of methylation. It's also essential to epigenetics: our ability to turn genes on and off. Methylation (and methylfolate) needs increase during times of stress. When methylation is hindered, homocysteine levels go up in the body, which is linked to an increase in chronic disease. Folic acid is a synthetic version of folate that is often added to prenatal supplements and “fortified” processed foods. Unfortunately, the body must go through multiple steps to convert this into a usable form of folate, and if you have an MTHFR mutation, this is especially difficult. Folic acid should be avoided. Natural folate can be found in liver and leafy greens. Here's a longer list from Dr. Lynch's website. Prevalence ranges between 20-30% in the general Caucasian population..
You have 2 options: (1) Order only the MTHFR genetic profile. (2) Get a more complete genetic profile through 23andMe that includes MTHFR data alongside other genetic information. The goal with testing is empowerment, not fear. Remember that just because we have a genetic vulnerability doesn't mean it will manifest. Resource: Is DNA Testing Worthwhile? For each gene, there is a normal variation, a heterozygous mutation (inherited from just one parent), and a homozygous mutation (inherited from both parents). A compound heterozygous mutation of both genes (C677T and A1298C) reduces methylation capacity by approximately 70%. While it's possible to be homozygous for both genes, that's extremely rare. If you chose to get 23andMe genetic testing, you will receive raw data that needs to be interpreted. Promethease is an online program that allows you to upload your 23andMe data and interpret it for $5. It's self-directed, so it can be a little overwhelming, but it can it can also provide a great deal of information. Self Decode, created by Self Hacked costs more money but also offers more guidance. 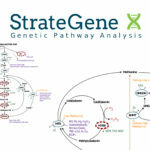 StrateGene is a report designed by Dr. Lynch that interprets 23andMe results with MTHFR in mind. But Strategene also analyzes how the MTHFR genes interact with other essential genes and epigenetic factors. His goal is to provide people with a road map for health. While there are other MTHFR analysis reports available online, Dr. Lynch warns against any test that provides supplement recommendations, because MTHFR protocols are very individual. Also, some MTHFR reports include genes that aren't clinically significant, and Dr. Lynch believes they scare people unnecessarily. (Just because a box is red on a report, doesn't necessarily indicate a true health problem). Resource: Frustrated By Genetic Testing? Me Too. Having a genetic mutation doesn't always mean impaired function. Never supplement based on genetic testing alone. Dr. Lynch's simple test to diagnose methylation function: If someone jumps out and says, “Boo!” startling you into a fright response, how long does it take you to calm down? If you calm down quickly, your methylation is working well. If it takes you a long time to calm down, your methylation is likely impaired. If you eat plenty of leafy greens daily (like the 3 cups that Terry Wahls recommends) you are more likely to have stronger methylation, since this provides folate in a form your body can use. Liver is another excellent source of folate. Signs that you might have impaired methylation: seasonal allergies, histamine intolerance, eczema, skin rashes, insomnia, hyper-responsiveness to stress, an inability to relax, exercise-induced asthma, long-lasting facial redness after exercise, early onset of gray hair. There are others also, but this is a sampling. Methylation function can change throughout your life, based on everything from stress levels, to health complications, to pregnancy, to hormonal changes. While Dr. Lynch finds a good health history predictive enough for most people, he does recommend lab tests for anyone planning to get pregnant. His favorite lab test is the Urine Organic Acids Test. The most common mistake people make is following supplement recommendations included in an MTHFR analysis report. These reports often include conflicting advice, and they're never personalized to the unique needs of the individual. You cannot treat MTHFR in isolation. Every supplement we take impacts numerous genes, not just the MTHFR gene. The foundation of methylation support is a healthy diet and lifestyle. Supplementation is fine tuning, but it can't overcome poor lifestyle choices. Some of the things Dr. Lynch recommends are: eating real food, chewing well for optimal digestion, deep breathing, stress management, positive mindset, prioritizing sleep, avoiding toxins, healthy movement, etc. Since everyone responds differently to supplementation, you can expect some trial and error in finding the right support for you. Dr. Lynch himself tailors his personal supplementation based on each day's needs. On a high-stress day, he'll take more supplementation. On vacation, he'll take very little, if any. He also recommends the Cronometer App to track the nutrients in your current diet, to see where you might be deficient and need to make changes. If you get the StrateGene Genetic Analysis, you get access to a Facebook Group moderated by Dr. Lynch's staff. It has over 2,000 members and many are healthcare practitioners, so it's an excellent peer-to-peer support group for people with MTHFR issues. 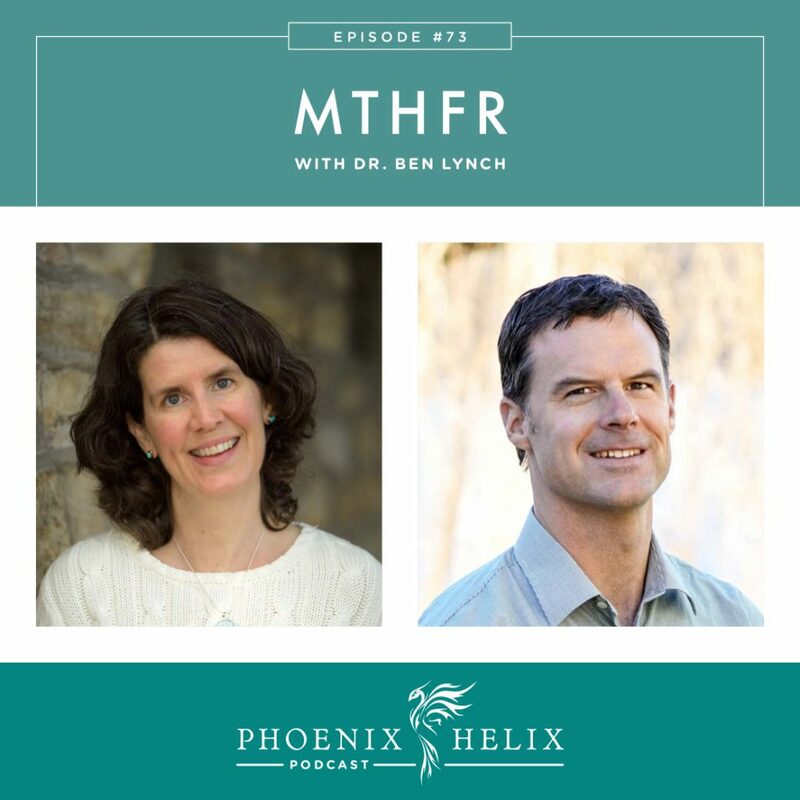 Dr. Ben Lynch has multiple websites: MTHFR.net is a dedicated resource on this topic. SeekingHealth.org houses the practitioner directory. 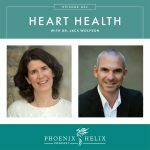 SeekingHealth.com is Dr. Lynch's supplement company. DrBenLynch.com is his professional website and he has a newsletter, if you'd like to subscribe. He also has a book coming out in 2018: Dirty Genes. 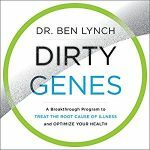 The book focuses on 7 genes that Dr. Lynch has identified as being essential to health, and how to optimize their function. You can preorder through Amazon. And a new website is currently being designed that will offer preorder bonuses: DirtyGenes.com.